The European Consumer Organisation (BEUC) urged food companies on Wednesday (14 June) to stop using cartoon characters to promote foods for children, saying they negatively affect their dietary behaviour. According to the BEUC, cartoon characters are a “powerful and persuasive marketing method to target children”, noting they are almost always used to promote unhealthy foods. The BEUC’s members conducted a survey focusing on brand mascots in 13 countries. Out of over 100 examples, they found only one child-friendly character had been used to promote a fruit or vegetable. “Children are unable to distinguish between advertising and entertainment. This is something that marketers have understood, but children’s health should come before profits,” the BEUC’s Director General Monique Goyens said, adding that characters that promote low nutrient foods only make it harder for parents to ensure their children have healthy diets. Goyens urged national governments to pressure food manufacturers to use cartoon characters more responsibly. 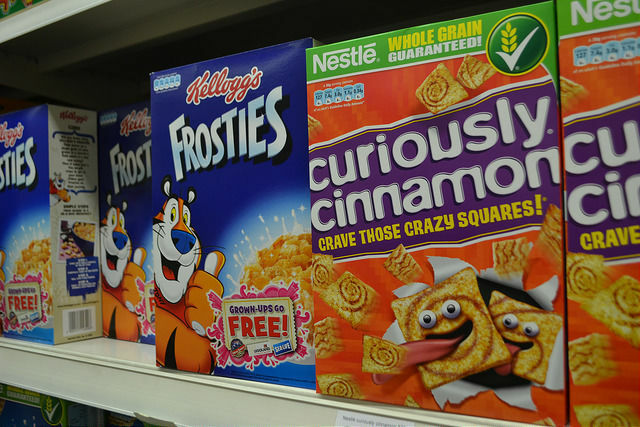 From their side, food companies should demonstrate a “serious commitment” to protecting children by removing these cartoons from unhealthy foods”, the chief BEUC said. “We’re not calling for Tony the Tiger or the Minions to disappear from ads, we just want the products they promote to children to become healthier,” Goyens explained. 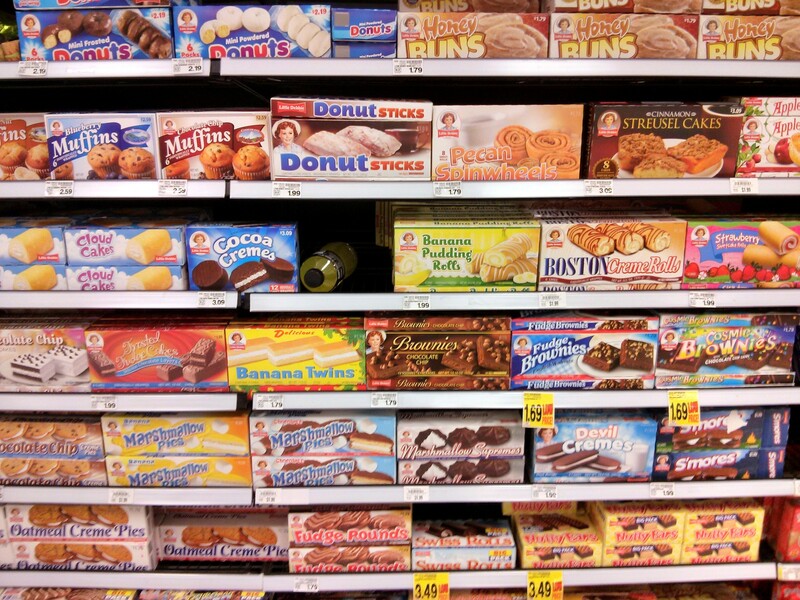 Doctors and consumer organisations are calling for a ban on advertising junk food to children, after a recent study called industry self-regulation a failure. EURACTIV Germany reports. According to the European Commission, approximately 7% of national health budgets across the EU are spent on diseases linked to obesity each year. An Action Plan on Childhood Obesity was endorsed for the period 2015-2020. EU health minister will meet on Friday (16 June) for a mid-term review of the plan. Child obesity has been a top priority of the Maltese Presidency. Malta has a high level of obese children and it’s estimated that 10% of its health budget goes to the direct consequences of obesity and about 17% preventable deaths are related to obesity. In February, the Maltese Presidency and the European Commission released a report claiming that childhood obesity should be tackled at an early stage and that schools can play a positive role in encouraging healthy eating habits. “Considering the amount of time that children spend at school, as well as the fact that in many European countries students consume at least one daily main meal there, schools are an ideal environment for supporting healthy behaviours,” the report states. 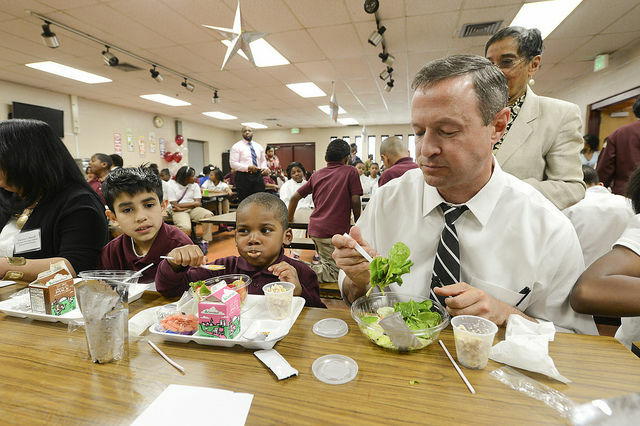 According to the report, benefits of increasing access to healthy food in schools include the development of better dietary habits in childhood, reduced incidence of childhood obesity and improved school attendance and performance.